We know how Imran read his Oath. They all are same, foreign planted stooges. These days smelly potties are taking language classes for Pakistani politicians. 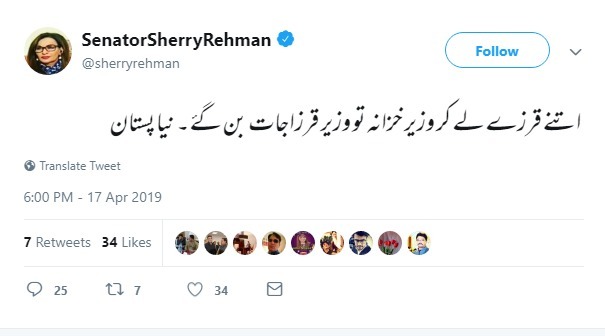 Asad Umar and Imran Niazi want Bilawal not to speak English and their Potty trolls are trying to correct Sherry Rehman's Urdu. yeh down sydrome bacha kis ka hai ? She doesn't need high end Urdu for the activities that this madam is involved in. She doesn't need high end Urdu for the activities that this madam is involved in, just moaning and screaming will suffice. Aap to khud hi Dolayshah say hein. Okay, will take the last part out. Chalo ab ho gai aap ki aurat ki izzat! The truth finally comes out, otherwise you would be doing some real job and not be here 24x7. dhakkan I am at job, paper work ! you can find yourself job too? plus i have siasat,pk app on phone ! Cigarette ka soota marte huey is ko dekha hey?